Le magazine Rolling Stone n'est pas connu pour aimer la modernité. 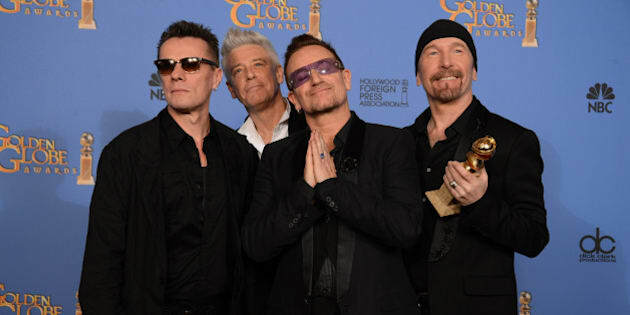 Et la publication du très respectable classement des meilleurs albums 2014, plaçant en premier le controversé Songs of Innocence de U2, a bien fait rire la twittosphère. (Pour info, Bruce Springsteen arrive en deuxième place). U2 actually just appeared on the Rolling Stone AOTY list and RS didn't know how to delete it off of their list. Hahahaha Rolling Stone named U2's spam garbage iPhone record the #1 album of the year?! U2 fronted by Springsteen & Chris Martin at Times Square tonight. If they do a live album, it's a lock at #1 for @RollingStone's 2015 list. Guys lay off, it's not Rolling Stone's fault that their new CMS came with the U2 album in the first slot in the template.